Manchester United and England attacker Marcus Rashford is the “best” candidate to ease the striking burden on Luis Suarez at Barcelona, according to Blaugrana great Patrick Kluivert. The La Liga champions are widely reported to be in the market for a new centre forward this summer to support their prolific Uruguay hit man now he has turned 32-years old. Benfica-owned Luka Jovic is a rumoured target having impressed on loan at Eintracht Frankurt, but it will not be a simple task to replace Barca’s resident No9 given he’s claimed an outstanding 168 goals in 227 appearances since July 2014’s €82.3 million arrival from Liverpool. 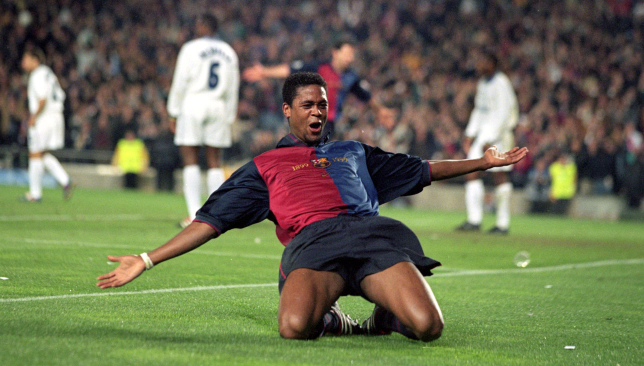 Kluivert, 42, is well versed in the art of scoring, after netting 122 times in 257 matches for Barca from 1998-2004 and notching 40 strikes in 79 Netherlands caps. The former Paris Saint-Germain director of football’s eye for talent focused on United’s latest glittering starlet when quizzed by Sport360°. 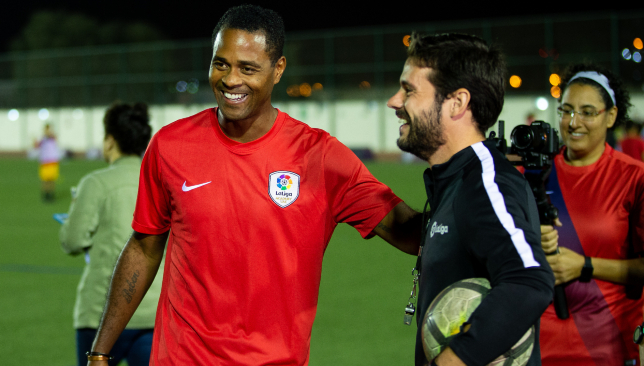 “I like Marcus Rashford, a lot,” says Kluivert when speaking at a La Liga event in Dubai. “It will be really difficult to get him over. “But he is a good player. “I don’t see a lot of players who can play in Barcelona. [Arsenal’s Pierre-Emerick] Aubameyang, perhaps he can play. “There is not a lot. Maybe some players who can play in La Liga, young players. Rashford’s composed take and drilled finish earned United’s gritty 1-0 win at Leicester City on Sunday. This effort moved him onto 42 goals in 153 club appearances, a tally tempered by negative football under managers Louis van Gaal – who compared the then teenager to Kluivert in April 2016 soon after a startling debut – and Jose Mourinho plus his flitting between the wing and up top. The 21-year-old’s versatility, however, appeals to Kluivert. Barca’s intricate, high-speed play in attack makes special demands that even iconic target men, such as Sweden maverick Zlatan Ibrahimovic, failed to meet. And LVG on Rashford: "Kluivert was more developed in body weight but what he was then, Marcus is now." “I think so,” the Cameroon assistant replies when asked if the England international has got what it takes to make it at Camp Nou. “He has got the skills, the attitude, he’s quick, he’s fast, he can score goals. An exciting prospect that Blaugrana supporters will definitely be seeing next term is Frenkie de Jong. The La Liga champions saw off Manchester City and Paris Saint-Germain to tie up a deal, worth up to €86m, for the 21-year-old Ajax centre midfielder. Kluivert has plenty of first-hand knowledge about the ascendant Netherlands superstar. His son, Justin, featured alongside him at both Jong Ajax and the first team prior to June 2018’s €18.8m switch to Roma. He is convinced Barca have landed a footballer with is capable of producing “exactly the thing” Barca require. Kluivert says: “De Jong played with my son at the Ajax Youth Academy a few years ago and from that point, I already saw that he is a player we will hear about very soon in the future with a lot of big things. “You know, it is done, Barcelona signed him for up to €86m. They made a good signing. “The way he plays, he really can fit in directly with the style of play at Barcelona. He is a very good player, who when he has the ball he knows already, when he receives the ball, where to play. “He can advance a few metres in midfield. He’s amazingly quick and his passing is also very good. “That is exactly the thing Barcelona is capable of. “Everybody talked about my son, Donnie van de Beek and Matthjis de Ligt. The latest was Frenkie de Jong. “He really developed himself very quickly. I think that he deserved it, because he showed his skills. 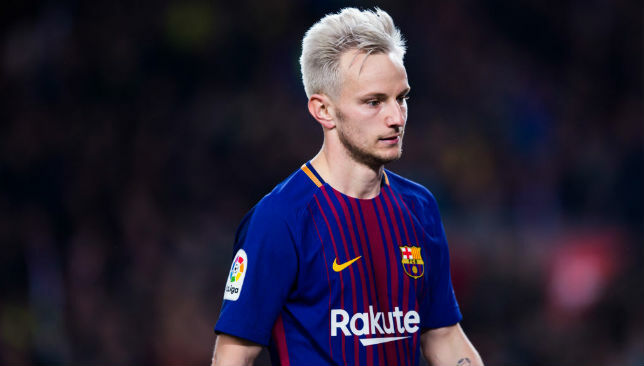 De Jong will hope for a swifter assimilation into the Catalan ranks than that endured by Justin Kluivert in 2018/19. The winger has struck just twice in 21 appearances. In Serie A, he’s started only a third (seven) of the Giallorossi’s matches. The elder Kluivert – who had struggles of his own in Italy at AC Milan during 1997/98 after he had made his name with the winning goal for Ajax in the 1994/95 Champions League final – conceded his son might not have “made the best decision” in leaving the Eredivisie as a teenager. Patrick says: “Personally I said always, stay one or two years more with Ajax. But as a father, you need to follow and respect the decision of your son. “So, I did. I don’t think he made the best decision, but he made a good decision and he is feeling great at the moment in Rome. “Of course, he wants to play more minutes. But he is 19-years old and he can’t demand things. “When he is playing, he is doing his best. He is feeling good in his position and that is enough for me. The Netherlands had entered the doldrums after finishing third at World Cup 2014, successively failing to qualify for Euro 2016 and World Cup 2018. A bright dawn, however, has begun for the Oranje. De Jong and teenage Ajax centre-back Matthijs de Ligt act as poster boys for a fresh generation, under the expert care of ex-Barca defender Ronald Koeman, that made the inaugural Nations League finals. “We can be happy with what we have and what we are still building,” says Kluivert, who played in three European Championships and one World Cup from 1994-2004. “I think Ronald Koeman is doing a good job in forming a good, solid side for the Dutch national team. De Jong and De Ligt have shown that one of football’s grand production lines has kicked back into life. Kluivert picked out another emerging Ajax midfielder to detail that the Netherlands do not “need to be afraid” about their future. He says: “Of course Matthijs [de Ligt], but he’s already there. Carel Eiting is playing for Ajax as well, then there are a few players at PSV Eindhoven and AZ Alkmaar. The Oranje, hosts Portugal, Switzerland and England will all compete in June’s finals.